The Elegance and Mystery of French Perfume — Explained! The Elegance and Mystery of French Perfume—Explained! Some of today’s most coveted fragrances come from leading French brands such as: Christian Dior, Chanel, and Estée Lauder. France is considered the leader in fashion and fragrance industries, and French perfume certainly is a force to be reckoned with. So why is France so brilliant when it comes to fragrance, and why do we love their perfume so much? Look back into the history of the French perfume, and imagine the magnifique aromas of the Fragonard Museum of Perfume in Paris. While France didn’t invent the perfume (we can credit that to the Greeks and Romans), Catherine de Medicis, wife of King Henri II, introduced fashion fragrances to France during the Renaissance. Louis XV’s court was known to be fond of fragrances as well. Before that, scents existed mainly to hide the smell of body odor—unfortunately, bathing wasn’t a priority until the late 18th century. 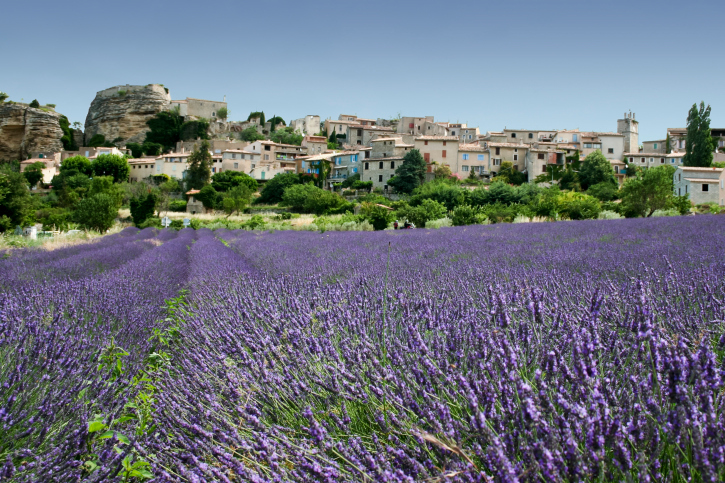 Paris may be the French perfume industry headquarters, but the real ambrosial aromas are found in the small town of Grasse, France. Due to its mild climate, it’s a horticulture heaven for a variety of popular scents, such as: jasmine, lavender, myrtle, rose and mimosa. 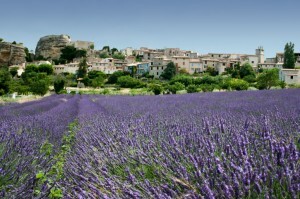 Lavender fields in Grasse, France, used in fragrance for French perfume. With access to natural, sweet-smelling scents right in their country, it’s no wonder French perfume is regarded as the most pleasant and elegant in fragrance. To experience the intoxicating scents of the flowers in Grasse, you can visit the Fragonard Museum of Perfume. Fragonard is a top fragrance producer in France, and its museum hosts some of the most alluring aromas in French perfume. This two story museum has intriguing displays such as the orgue à parfum, or ‘perfume organ’. It’s a display of perfumes arranged to resembled the keyboard of a cathedral organ. Those wishing to be hypnotized by the power of French perfume will find the history and displays of the Fragonard Museum of Perfume to be interesting and, of course, alluring. Visit Paris, France and the Fragonard Museum in person! AESU offers several trips to Paris, France, including: Cosmopolitan, Explorer, Euro Focus, Great Escape, and Euro Spree. Explore Paris and its stunning architecture and style, and visit the historic museums—such as the Fragonard Museum itself. And right now, if you book and pay in full before December 4th, 2015, you can save up to $300 on your trip! If you have any questions or want help booking your Paris, France adventure, please contact AESU by calling 800-638-7640, or fill out the contact form found on our website. This entry was posted on Wednesday, November 25th, 2015	at 6:58 pm	. You can follow any responses to this entry through the RSS 2.0	feed. Both comments and pings are currently closed.